The story goes that Gandharva Dhurdhaman was bathing in the tank with women. Maharishi Vashista who was returning after visiting Lord Shiva got the due regards from the women who came out of the tank and sought his blessings. However, the Gandharva disregarded the presence of the rishi and continued to bathe in the tank. An angry rishi cursed the Gandharva to turn to a Rakshasha. Shocked at this sudden turn of event, the women folks pleaded with the rishi to bring the Gandharva back to his handsome form.Over time, Kaalava Rishi who was undertaking penance here invoking the blessings for Lord Narayana was harassed by this Gandharva turned Rakshasha. Perturbed at this, the Rishi increased the severity of his penance. Pleased with his prayers, Lord Narayana appeared before the rishi and killed the Rakshasha with his discus thus liberating the Gandharva from his curse and helping him unite with his Gandharva wife. Kaalava Rishi requested the Lord to stay back here and provide darshan to devotees in the same standing posture as Ranganatha. Another story goes that King Nanda Boopala relinquished his kingdom and headed towards the forest handing over the crown to his son Dharma Gupta. One day, while returning from a trip, the king had to stay back in the forest as it had suddenly become dark. He climbed a tree to sleep there for the night only to be joined there by a scared Bear that had been chased down by a hungry Lion. Both of them agreed to take turns and sleep half the period of the night and keep vigil against the hungry Lion. With the Bear staying awake the first half, the Lion tried to negotiate a deal with the Bear asking him to push down the King in return for being allowed to go free. Not willing to go back on the agreement with the King, the Bear refused. Well past mid night the Bear and the King exchanged turns and it was now time for the king to keep vigil. When the Lion tried to strike the same deal with the King, he immediately pushed the Bear down. However, to the shock of King Dharma Gupta, the Bear escaped. Once away at a distance, the bear informed the king that he was no normal Bear and that he belonged to the clan of Brigu Rishi. The Rishi also informed the Lion that he was a Yaksha who had turned into a Lion as a result of the curse of Gautama Rishi and that it was time for him to be liberated from the rishi's curse. The Bear who was angry at the king betraying the trust placed on him for protection during that night cursed him to turn into a lunatic. Shocked at this, king Dharma Gupta sought his father’s help. Former King Nanda Boopala took his son to a Sage who suggested that Dharma Gupta bathe in the Sacred Padma Theertham in Palamalai and invoke the blessings of Lord Ranganatha there. Dharma Gupta was relieved from his curse at this place and went back to rule his kingdom in a righteous manner. The story goes that this was a thick and dense forest area. A cowherd who allowed his cow to graze here found that there was no milk left. One day, as he watched closely, he was amazed to find the milk on the Swayambu Lord that had come up here. It is believed that the invisible voice sent him the message that he should bring milk from the next morning. A delighted cowherd followed this practice every morning. To this day, every morning inside the temple, the small idol of the swayambu Lord is presented the milk abhiseka as part of the morning pooja. 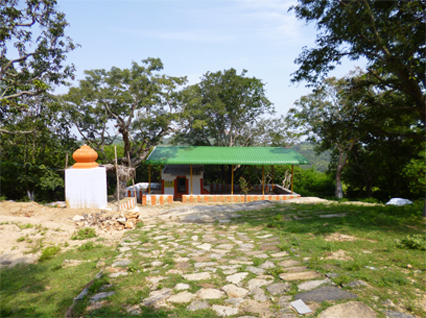 With the thick forest, devotees were keen that an outer wall be constructed around the temple but when the temple authorities fell short on construction material it is believed the Lord answered their prayers with the huge rock on the Southern side of the temple breaking up into pieces to constitute the material for the construction. Interestingly, answering the prayers, Lord provided sand in the far Northern corner of the temple. Padma Theertham as seen in the story above is on the Northern side of the temple about 1/2km away. A Sithar lived in Palamalai and his jeevasamathy in Palamalai. A Theppakulam is situated at the Northern side of the Temple. 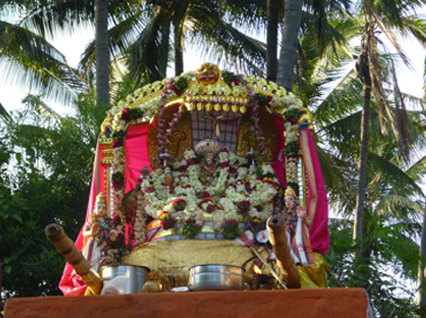 Festivals are celebrated in a grand manner at this temple. There is an old small temple chariot that is replete with interesting sculptures. Krishnanandhaji is a sanyasi who made thavam in Himalayas for around 40 years. He is from ooty belongs to the Baduga people. He also lived in Palamalai Temple for around 15 years and made thavam in palamalai temple. The above picture is the place where Krishnanandhaji used to make Thavam in Palamalai temple. It is located at the north west side of the temple. 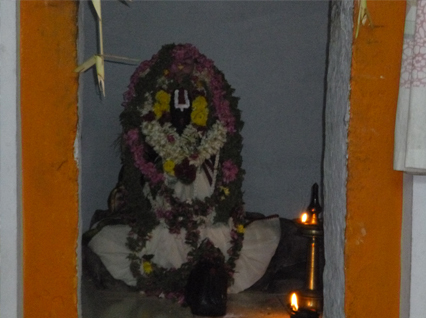 Kaliyannasamy (also known as Kalidass sami), a Sithar lived in Palamalai and made several pooja to the Palamalai aranganathar temple. Especially, on each full moon day he did Sathyanarayana Pooja to the aranganathar at evening 7.00 pm. Atlast he passed away long back and his jeevasamathy is in Palamalai Temple. A Theppakulam is situated on the Northern side of the temple about Half km away. It is also called as 'Padma Theertham'. Padam Theertham is believed to be magic water for liberation from diseases, illness and different kinds of doshams. 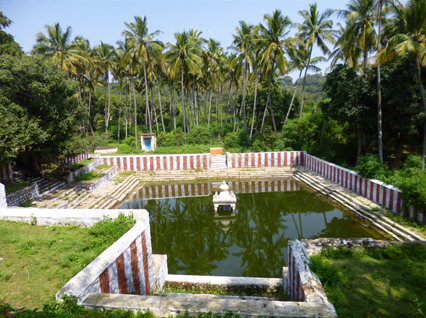 Most of the kings king regained their original princely form after a bath at this sacred tank(Padma Theertham). 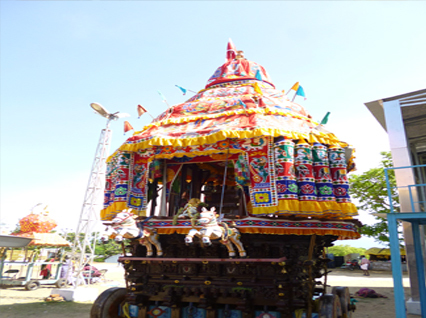 Chithra Pournmai Chariot Festival is a famous function in Palamalai temple which is conducted once in a year. On the full moom day of the tamil month Chithirai, the Chithra Pournmai Chariot Festival is celebrated in Palamalai. It is beleived that the festival has to seen by the man who born in this earth atleast once in his lifetime to attain a sacred life. 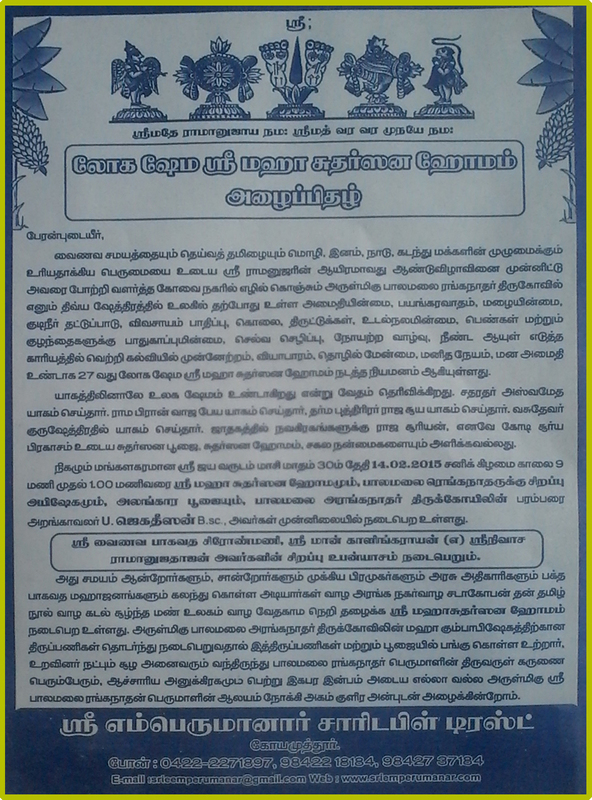 Krishna Jeyanthi is celebrated in Palamalai Aranganathar temple every year. It is the birthday of Lord Krishna and it is famously celebrated by the devotees all over the world and especillay in Palamalai. On that day, many games are conducted in Palamalai. One of the main event is Uriadithal where people try to break a pot that tied at a particular point. 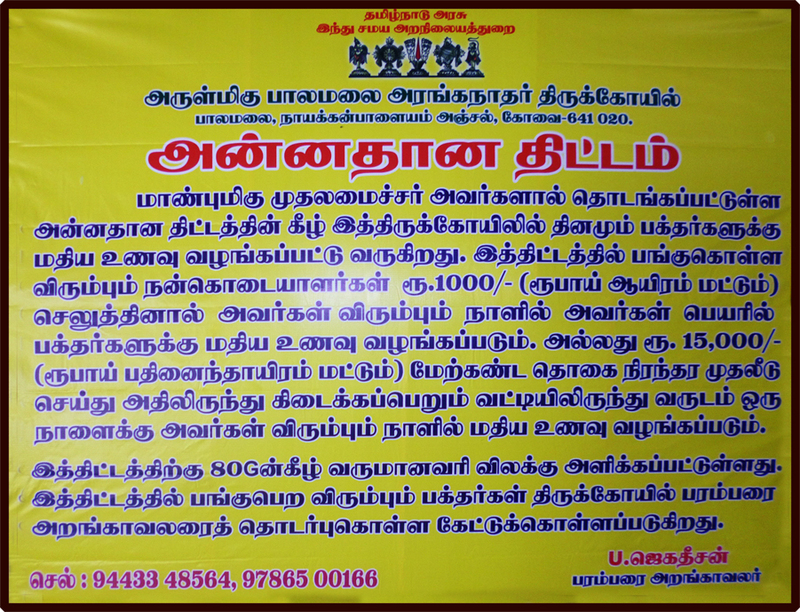 Vaigunga Agathacy is one famous function in Palamalai temple celebrated every year. It is celebrated at the night time usually. 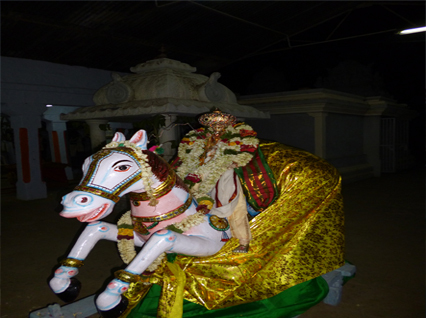 Lord Ranaganathar will roam the Palamalai in his own horse and bless his devotees. It is beleived that Vaigunga Agathacy celebration will sacred a life of human and his soul will go to vaigundam after his death.